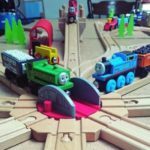 Keep your tiny engineers enthralled and entertained with these inspired ideas for Brio, Bigjigs, Ikea and Thomas wooden train sets. 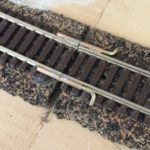 Cleverly incorporating two ovals that loop-back on themselves plus a bridge this clever track arranegment will delight tiny train nuts. This will 8 legged turntable design is as much fun to watch as it is to play with. Admittedly, this room filling snake themed train track isn’t much to look at but it’s a different ball-game for playing with. Learning while playing? Absolutely with this super-smart idea of making your child’s name with train track. Best of all, they don’t realise they’re learning but as they move their trains around the track they’re learning the shape and form of the letters. 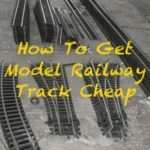 The children maybe too young for Lego but that’s no reason not to incorporate into your wooden train set railways for a while new dimension of fun. 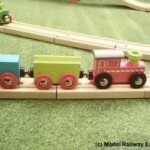 And when (or should that be if…) they grow out of Wooden trains they’ll have a head start on making Lego models. 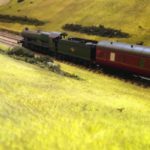 There’s something oh-so-cool about watching trains hurl around ever decreasing circles and this cunning layout idea does this with bells on. It’ll keep your toddlers busy for hours. Our eyes are designed to seek out beauty and our brains are hard wired to find symmetrical patterns and this elegant layout does both. 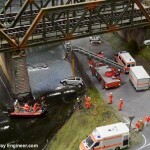 Simple to look at it maybe but this compact layout will teach you toddler more than they realise with timing and speed control needed to avoid crashes between trains working their way around intersecting sections of track. 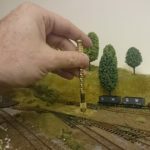 Hopefully, these ideas will inspire you to create even more varied and interesting wooden railway set layouts. 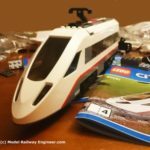 If you want interesting and exciting trains to run on them, take a read of the sister post to this article – the top Brio and Bigjis trains.